Sisters Nancy and Ann Wilson are the guitar and voice of one of rock's longest-running acts. What was once the "little ship of dreams" will set sail again this summer for Ann and Nancy Wilson of Heart. Also: 7:30 p.m. June 13 at the Hilton Waikoloa Village, tickets $60, available online at kingmichelconcerts.com, call (808) 345-3100. That lyrical image from 1976's "Dreamboat Annie" was tossed about a bit by "turbulent seas" within the band when the early '80s came around. But since then, the Seattle-based sister team have managed to keep things on a manageable course. It's been strong and steady, especially over the last four years, and Heart will reconnect with their fans on the mainland throughout the summer starting in July on a tour bill that includes fellow perennials Cheap Trick and headliner Journey. Before that, though, the band will enjoy a working vacation in the islands, starting with a sold-out show at the Blaisdell Concert Hall next Thursday, followed by a concert at the Hilton Waikoloa Village on the Big Island on Friday the 13th. Heart's classic rock status with a new generation has already been ensured with their appearances on two Guitar Hero video games: "Crazy on You" on the second edition and "Barracuda" on the latest Legends of Rock game. Plus the band appeared on the "American Idol" charity show, "Idol Gives Back," early last month, as guest Fergie wailed on "Barracuda" with Ann Wilson. 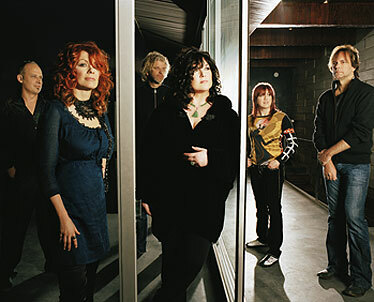 Still holding the distinction of being one of the few major rock bands led by women, Heart, especially between the years '76 and '80, were on a creative and touring tear. Besides the aforementioned songs, the band, at its height, sounded at times like a lighter but still kicking variant of Led Zeppelin, with songs like "Little Queen," "Love Alive" and "Bebe Le Strange" approximating the original's English folk-and-rock crunch. 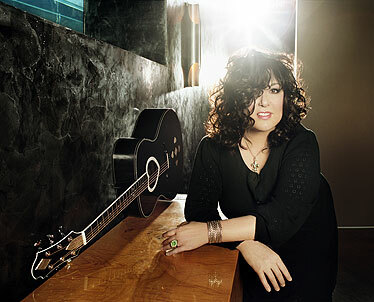 Singer Ann Wilson also has a recent solo album, "Hope & Glory." That's no surprise, since the Wilson sisters have continued to cover in concert such Led Zep classics as "Rock and Roll," "The Battle of Evermore," "Black Dog" and "Immigrant Song," the last also heard on Ann Wilson's solo album "Hope & Glory" from last year. Wilson mentioned during a phone interview that a couple of songs from her album, plus the band's version of the Who's powerful "Love Reign O'er Me," will probably be part of the Hawaii concerts' songlists. "It's a solo album that I did with producer Ben Mink," she said. "It's got a lot of really great guest artists, like Elton John, k.d. lang, Wynonna Judd, Gretchen Wilson and Rufus Wainwright, and it was a lot of fun to do." With the exception of the album's closing song "Little Problems, Little Lies" - written by Wilson and Mink and seen through the eyes of a young American soldier in his death throes somewhere in the Middle East - most of what Wilson and her guests sing are covers made famous by others, like Bob Dylan (a revitalized "A Hard Rain's a Gonna Fall" with Wainwright and Shawn Colvin) and Neil Young, whose "War of Man" gets a sensitive reading from Wilson and Alison Krauss. "All of the songs touch on the scary times we live in," Wilson said. "These are all human songs, very poetic songs. There's not a love song in the bunch." She also mentioned that Heart is in the process of doing a new album to follow up 2004's "Jupiter's Darling," which was the band's first studio album in 11 years. Having gone through lengthy legal contractual problems early in Heart's recording career, Wilson keeps the rapid changes in the music industry in perspective. "Change is happening for a reason, so there's no need to try to stop it. I think it makes for a much healthier feeling for artists." Still, Heart thrives as a working band. "We just happen to love touring. It's direct and fulfilling, and it's amazing how wide our fan base has become. ... It's funny to look out into the audience and see everyone from the aging guys with the greasy ponytails to the 20-somethings. It's pretty cool." Besides the Wilson sisters, the band now comprises of drummer Ben Smith, guitarist Craig Bartock, keyboardist Debbie Shair and bassist Ric Markmann. "We have a good chemistry and travel well together," Wilson said. Being the powerful singer that she is, her biggest concern while on the road is "remaining healthy. There are superbugs out there which can cause respiratory problems. So I have a regular health regimen that involves vitamins and ultrasound therapy, and I wear gloves during meet-and-greets." Coming back to the touchstone that is Led Zeppelin, Wilson was one of the lucky ones who saw the band's hotly anticipated reunion concert in London last December. "And I was surprised how much of an effect Robert Plant still had on me. I was always a huge fan of his. He's like a muse for me, and to see him again at his age, he just emanated so much sexuality. He was so natural and just had this fire I hadn't seen in most young guys. I might be superbiased, but they don't build rock singers like that anymore. He had such an easy way of moving, and when he preened, he preened cool!" But in the meantime, the life of Heart continues on. "We started as a cover bar band, but really, it's been the combination of people in this group that has kept it going," Wilson said. "The best thing for us in recent years was to remain independent, so we could have more room to move and be creative. I admit we've been pretty obstinate through the years, and it's both helped and hurt us. But we're rock 'n' roll survivors, and the fact that we still can do it in person - and with no lip syncing - shows it's real and is a testament of how much we still want to do it."